Hotel Motel Insurance Pennsylvania. Hotels provide lodging to the general public. Rooms may be rented on a short-term or long-term basis. The hotel may offer a bar or lounge (sometimes with live entertainment), beauty or barber shops, child or pet care, full-service restaurant, gift shops, laundry, and dry-cleaning, limousine services, spas, or various recreational attractions. Many hotels also offer meeting facilities for seminars and conferences. The hospitality industry is not immune from litigation, and hotels and motels are at risk to facing claims for liability that often lead to bankruptcy or at least financial distress for the hotel owner or company. For instance, when a hotel manager went into labor while on duty in New York City in 2011, giving birth to her child in one of the hotel's guest rooms, she filed a $10 million lawsuit against the hotel. 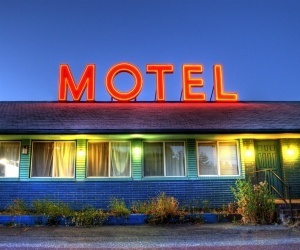 Hotel motel insurance Pennsylvania protects your business from lawsuits with rates as low as $67/mo. Get a fast quote and protect your property now. PA hotel owners must be prepared for any potential situation that arises, since they can be held liable for anything that happens on their properties. The hospitality industry is faced with many high-profile claims, so it makes sense to protect your individual business with a comprehensive hotel motel insurance Pennsylvania policy to cover your financial obligation if a suit is decided against you. General liability insurance. This type of insurance protects your business from loss due to bodily injury or property damage from guests who stay on your property. Commercial auto liability coverage. If your hotel offers shuttle serve or limo service and owns the vehicles used for the service, then you need PA commercial auto insurance to cover any potential liability caused during the use of the vehicle. PA state miniums are $15,000 / $30,000 for liability. Compare that to your risk tolerance to make sure you buy enough coverage to protect your business' finances in the event of a claim. Worker's compensation insurance. Protect your employees with worker's compensation insurance. Worker's comp provides monetary compensation and medical payments for workers who are injured or become ill due to a work-related issue. PA requires that employers provide this insurance for all non owners. Liquor liability coverage. Many hotels serve alcoholic beverage or operate bars on their premises. Liquor liability coverage protects you from losses due to the actions of intoxicated guests who cause bodily injury to themselves or others or who cause property damage. Premises pollution coverage. When pollutants such as mold spores cause injury to employees or guests, this coverage pays for punitive damages, cleanup costs, and medical costs for those affected. General property insurance. Protect your hotel's decor, carpeting, furnishings, electronics, and other assets with general property insurance. This hotel motel insurance Pennsylvania coverage provides compensation for property that is lost, stolen, vandalized, or otherwise destroyed. Utility interruption insurance. If a serious utility outage causes your business to lose money, then this hotel motel insurance Pennsylvania provides loss compensation. These are some basic coverage types for hotels; the list of potential policy addendums and add-ons is lengthy. Your particular hotel motel insurance Pennsylvania policy should be tailored to your needs, risk tolerance, and assets that you need to protect. Work with an agent to determine what your specific risks are and how you can protect yourself from potential loss. Request a free Hotel Motel Insurance Pennsylvania quote in Aliquippa, Allentown, Altoona, Ambridge, Baldwin, Beaver Falls, Bellevue, Berwick, Bethel Park, Bethlehem, Bloomsburg town, Bradford, Brentwood, Bristol, Brookhaven, Butler, Camp Hill, Canonsburg, Carbondale, Carlisle, Carnegie, Castle Shannon, Chambersburg, Chester, Coatesville, Collingdale, Columbia, Connellsville, Conshohocken, Darby, Dormont, Downingtown, Doylestown, DuBois, Dunmore, East Stroudsburg, Easton, Economy, Elizabethtown, Ellwood, Emmaus, Ephrata, Erie, Franklin Park, Gettysburg, Glenolden, Greensburg, Grove, Hanover, Harrisburg, Hatboro, Hazleton, Hermitage, Huntingdon, Indiana, Jeannette, Jefferson Hills, Johnstown, Kingston, Lancaster, Lansdale, Lansdowne, Latrobe, Lebanon, Lewistown, Lititz, Lock Haven, Lower Burrell, McKeesport, Meadville, Mechanicsburg, Middletown, Millersville, Milton, Monessen, Monroeville, Morrisville, Mount Joy, Munhall, Murrysville, Nanticoke, New Castle, New Cumberland, New Kensington, Norristown, Northampton, Oil, Old Forge, Palmyra, Perkasie, Philadelphia, Phoenixville, Pittsburgh, Pittston, Pleasant Hills, Plum, Pottstown, Pottsville, Quakertown, Reading, Ridley Park, Scranton, Shamokin, Sharon, St. Marys, State College, Sunbury, Swissvale, Tamaqua, Uniontown, Warren, Washington, Waynesboro, West Chester, West Mifflin, White Oak, Whitehall, Wilkes-Barre, Wilkinsburg, Williamsport, Wilson, Wyomissing, Yeadon, York and all other cities in PA - The Keystone State.